All of us at Triune Music owe a special “thank you” to our customers who have been a part of our 48-year history in the Midwest. Again in 2012, S.B. 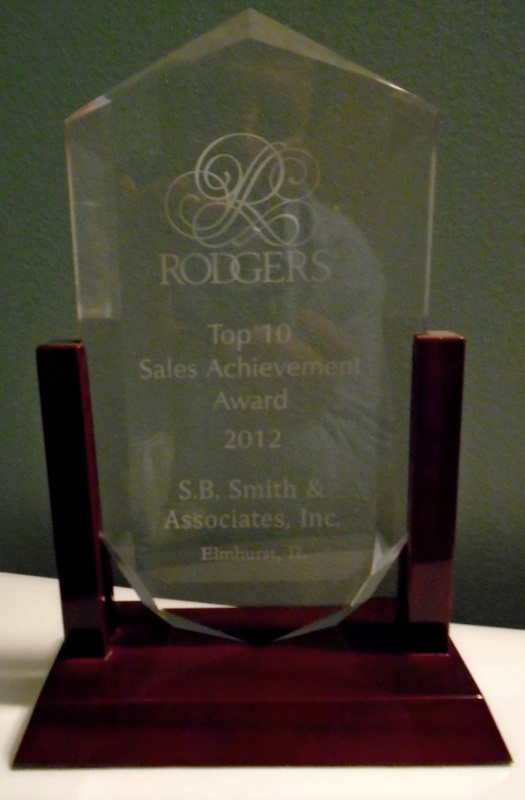 Smith & Associates was recognized as one of Rodgers’ TOP TEN Dealers World-Wide, continuing a eight-year record of being honored in this way. We are humbled by the continued support of the churches, temples, and individuals in our market area and we share your enthusiasm for the superb products we are privileged to offer. Many thanks to our dedicated employees and our loyal customers that continue to help us achieve this prestigious honor year after year.